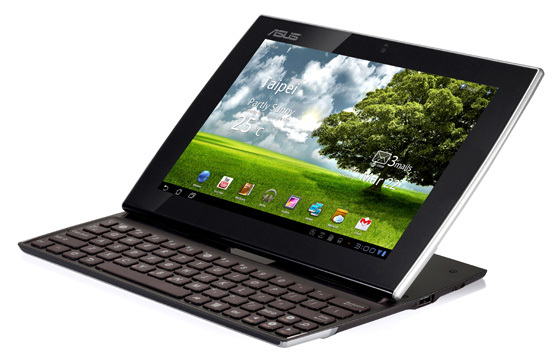 Android tab with pop-out keyboard? WTF?!? Review I first laid hands on the Asus Eee Pad Slider back in March and now, after eight long months, it has finally made it onto the shelves of Blighty’s gadget wallahs. Has it been worth the wait though? Let’s start with the reason the Slider is so called. Slip a finger into the crack between the two halves in the top edge and they part to reveal a full keyboard as the screen elevates itself up to a 45 degree angle. 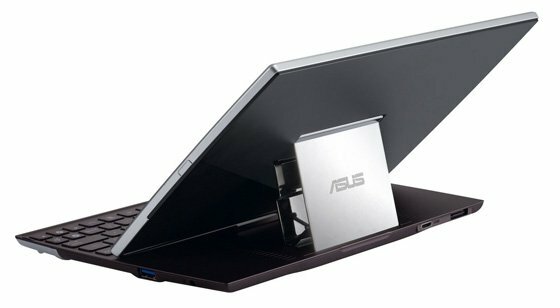 Unlike a regular laptop there’s no choice of screen angle - it’s 45 degrees or nothing. The hinge mechanism may not look particularly robust but it in use it betrays no hint of wobble, flex or strain. The mechanism has enough spring in it to not require a physical locking mechanism – open or shut everything stays in position helped by a couple of small guide hooks. The depth of the base and the fact that less than half of the screen overhangs it means there is little chance of the unit toppling back or moving when you touch the screen. In short, it's a rather clever bit of design. Yet is it a worthwhile bit of design? Without a doubt. I’ve lost count of the number of times I’ve wanted to prop a tablet up rather than hold it yet lacked the requisite stand or a couple of large books to do the job. 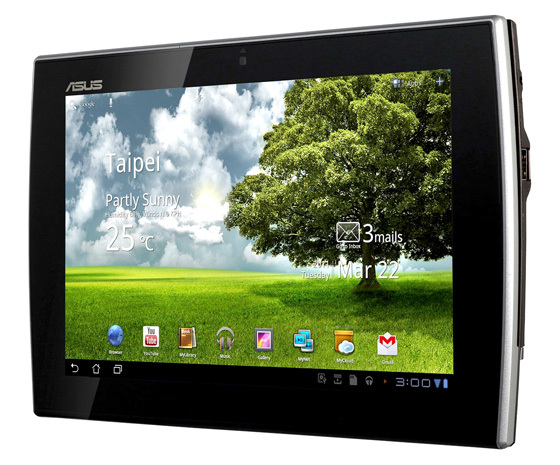 The Asus Transformer’s excellent 10.1in 1280 x 800 IPS screen has been carried over to the Slider so you get the same robust viewing angles. This is arguably more important on the Slider, since it will spend much of its time in a fixed position on a desk rather than in-hand. Take a quick shufti around the edges and you will find a full-sized USB 2.0 port, mini HDMI and 3.5mm audio sockets, a micro SD card slot and a docking connector that does duty for both charging and syncing.